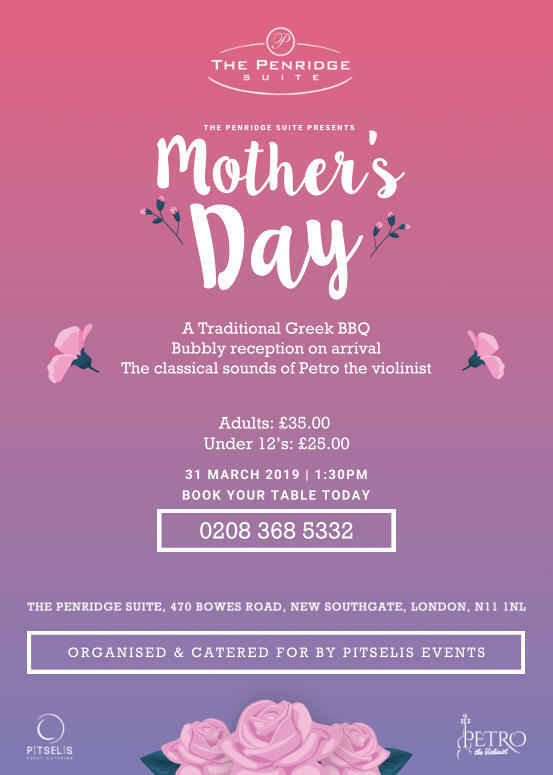 The Penridge Suite Presents Mother’s Day Lunch – Greek Style, on Sunday 31st March at 1.30 pm. 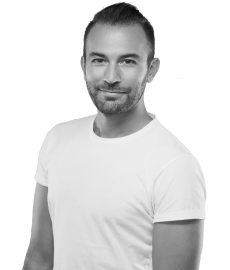 Upon arrival you will be greeted with a welcome drink and then enjoy an extensive menu, which includes an array of Meze starters, BBQ Lamb and Chicken Souvla or Vegetarian Option. Followed by a selection of delicious Greek Sweets, served with Tea and Coffee, while being entertained by Petro the Violinist. Adults at £35.00 and Children under 12 years at £25.00. Price include Red Wine, White Wine & Soft Drinks. Mother’s Day at The Penridge Suite, 470 Bowes Road, New Southgate, London, N11 1NL. To book your table please call 0208 368 5332.